This month, British Triathlon have a club focus on Willesden Triathlon Club! Willesden Triathlon club are a small, friendly group based in North-West London, offering sessions for all abilities. 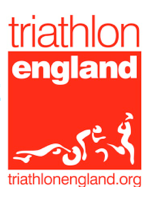 We started working with Jenny Vincent from Triathlon England as a Sportivate event in 2011, but we were officially founded as a club in late 2012/early 2013. And how’s it grown from there? Though we are still small in numbers, we have become significantly more diverse! We started out as a club targeted toward novice triathletes, but many of our members have been with us almost since we’ve started. As a result, we have members training to do their first race, long-distance/Ironman races and everything in-between! What is one thing that all amateur triathletes have in common? WTC voted club of the year 2015!